This year’s Champion is Jamie Reid, who won a very entertaining final enjoyed by all who turned up. The weather could have been better but it never bothered Jamie or Young Gordon. 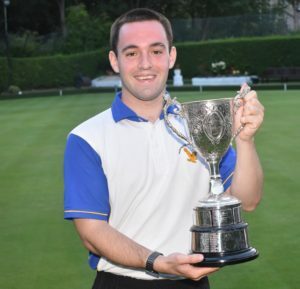 Over all the Final this year will be a hard act to follow as both players produced very good bowls. From the start it was a pity that there had to be a runner up. The final score Jamie Reid 21- 18Gordon Wilson jun.